Editor’s Note: Event budgeting is NOT easy; we know. Do yourself a favor and check out this handy eBook we’ve written up. It’s free. Which event budget template is best for you? If you’re planning a small association event you may not need a massive multi-tabbed conference budget. And a lot of the free options seem to come from sketchy sites with download paywalls. I clicked all the questionable links so you don’t have to, and I found a safe, clean, useful event budget template for every taste. 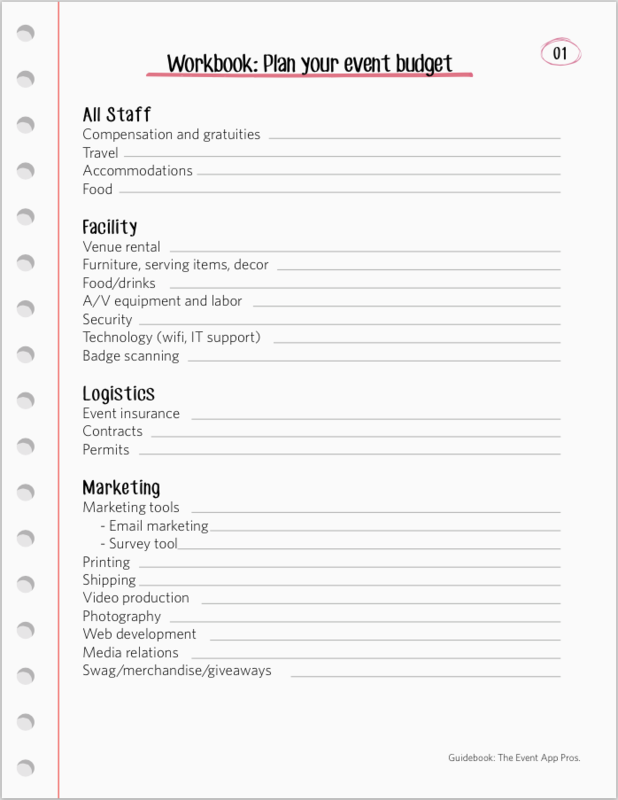 Be organized, not overwhelmed, with a comprehensive checklist. During the early planning stage, this workbook will help you get all your ducks in a row. Print it out and get your thoughts down on paper before you begin playing around with a spreadsheet. By the way, it must be said: at press time, more than 10k smart event planners like you have downloaded and shared the Professional Event Planning Guide. Get yours now! 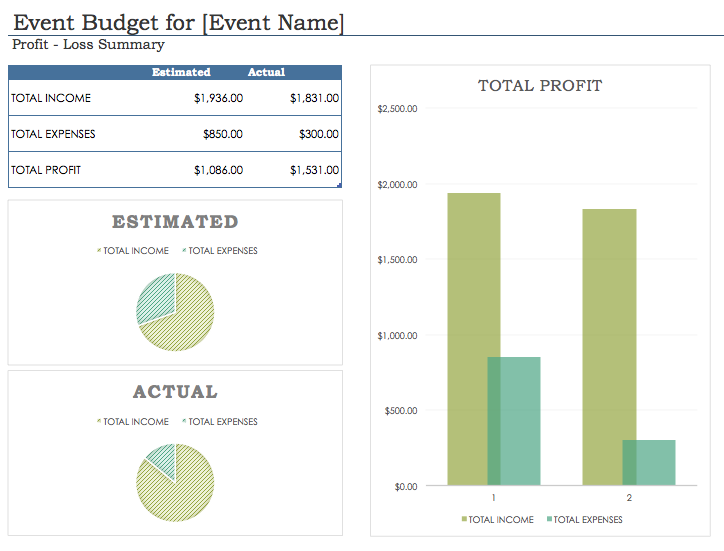 Why track data in an ugly budget template and create a nice-looking one to present? Cut out the middleman! 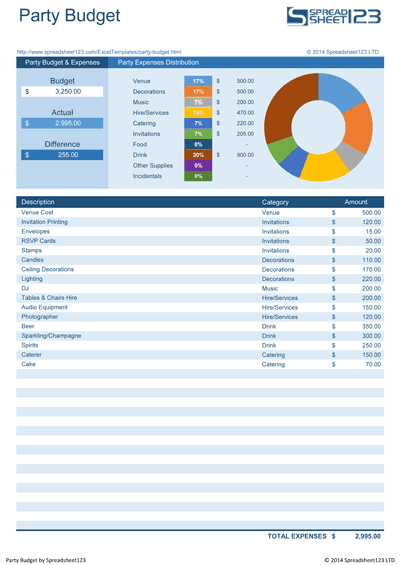 This simple Excel file gives you a clean jumping-off point for budgeting events of most sizes. The template’s separate tabs for expenses and income feed into a clean dashboard that’s friendly enough to project at your next committee meeting. You need a spreadsheet that tallies accurately and has room for every single detail. 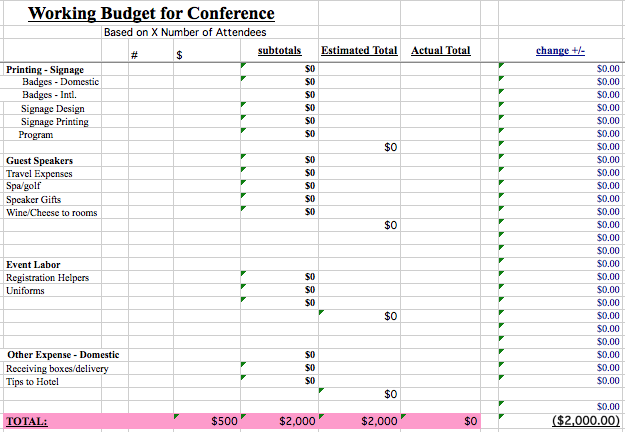 It’s not much to look at, but this event budget template is comprehensive. An easy one-pager that you can print off for your team. 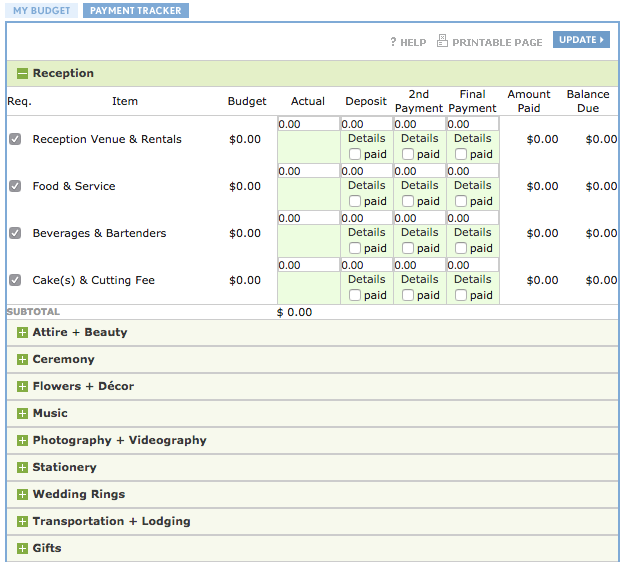 Whether you’re a planner or one of the lucky couple, here’s an event budget template that considers your specific needs. This budget planner separates line items into helpful categories and includes a payment tracker. Learn more about Event Budgeting by downloading our free eBook below!